Thanks!! I hope the eventual transition to the pico goes smoothely. Can’t wait for the tank to cycle. So far so good- keeping a steady 78! Don’t expect to need cooling based on experience with my 20g. Moved the filter. Looks a lot less messy. Need to work on wire management. Please cycle! 🤞 Only new update is the inkbird. 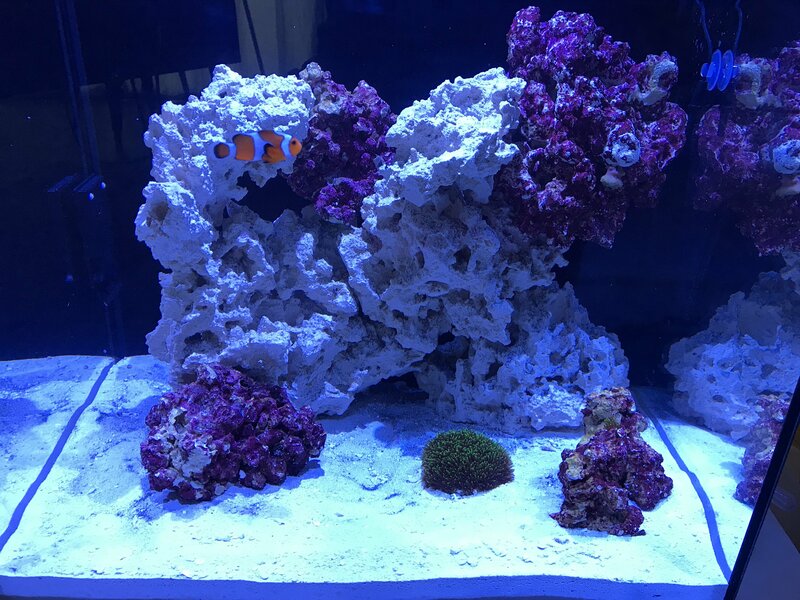 My RFAs have not had any issues in the 20 gallon mixed reef and have seemed happy from the start. Feed them maybe once a week or so. They don’t mind the anemone shrimp and also don’t mind touching eachother. I’m a little nervous with the non-established pico and also starting with new very tiny RFAs that were tank spawned (hopefully by Jason Fox). So I have an idea and it’s a little crazy. 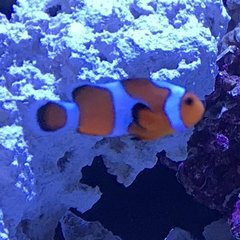 What is the lightest or least dense coral - gsp? cloves? Is this a pod or baby shrimp? Found it in my ball of chaeto aka mini fuge in the 20gallon- It’s cute! Went in the pico. I kind of like the simple scape and am favoring no further rock structures!! I have arches, caves, etc in my other tank. May eventually decide on some live rock if the cycle is difficult. I’m also thinking about one BTA for the pico but I already have a captive spawned “rainbow” in my 20 gallon that grew at least 5x in size over the past few months. Maybe he will split! I have noted fluctuations in temp from 74F to 84F. I think tank light and sunlight are probably large factors, but not too happy with my Cobalt minitherm so far. Discussing getting tank-spawned baby RFAs from Jason Fox over email! Excited! Will fit with my overall goal to stick with aquaculture/captive-bred livestock. But actually? ... I like my rubble wall!